Consider beginning the New Year by signing up to volunteer with your kids, a great way to spend time together while teaching kids about helping others directly. Here are some helpful tips for volunteering together as a family. This winter, consider volunteering for a soup kitchen or another volunteer organization that helps those who need it most. It’s a great way to spend time together while helping those in need. Find a way to help together Talk to your children about ways they might be willing to volunteer. Many people who are homeless or struggling rely heavily on food pantries or soup kitchens. The need increases during winter, making it a good time to begin volunteering. Try a search engine for volunteer organizations, such as Volunteer Match. Once you find your local food pantry, your older kids may be able to serve food. Younger children can hand out plates, napkins, and silverware. Encourage your kids to be friendly to those they serve. Soup kitchens need volunteers year-round. If your family think volunteering is rewarding during winter, consider volunteering over the summer, too. Many children depend on school lunches during the school year, and over the summer, survival centers need volunteers to distribute lunch foods to kids. Is your family’s New Year’s resolution to cut back on sugar? Let Kidstir help you turn it into a game! Download and print out this handy sugar conversion chart, and your kids will soon be aware of the hidden sugars in their favorite drinks. 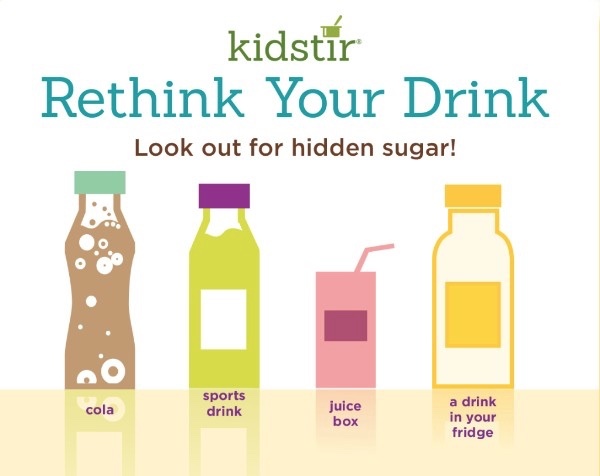 Look at the typical amount of sugar in the drinks below. Then check the labels of other drinks. You’ll find that content varies by flavor, ingredients, brands, and serving size! Want something good to watch? 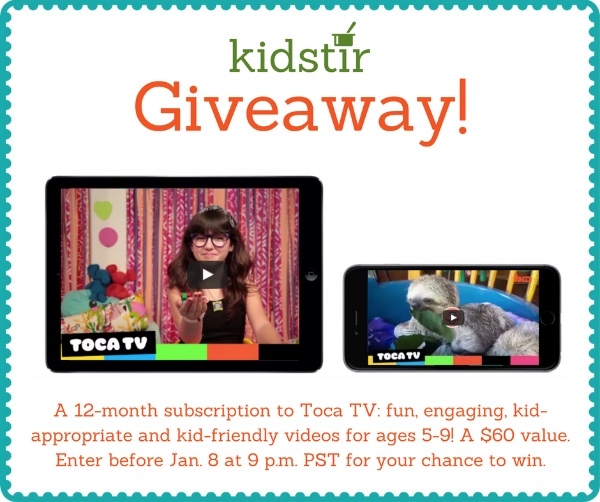 Our January Giveaway is a 12-month subscription to Toca TV which offers ad-free, inspiring, playful, kid-friendly videos for ages 5-9. 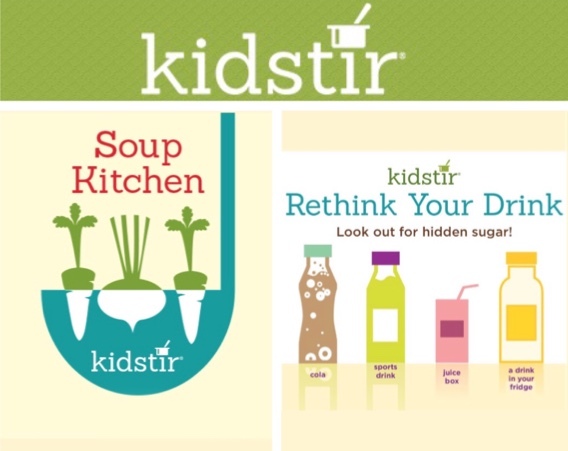 To enter, share one new thing you want to try with your family this year on our Kidstir Facebook page. We will be choosing five lucky winners. If you’d like to learn more about Toca TV, check them out at tocatv.com or try one month for free using our special promo code kidstir. Download it in the Apple store or on Google Play.